MMPI is a financial advisory group providing professional advice to individuals and companies. The Group, founded in 1993 and based in Ireland, specialises in a number of areas including the provision of investment advice and products. MMPI won the Best Dublin Broker award in the 2017 Irish Brokers Association’s Annual Life Pensions and Investment Awards ceremony. The company was very proud of this award – and extremely satisfied to have been deemed by its peers to be delivering a superior service. However, that perspective was limited. It wasn’t reflecting the opinions of a crucial other constituency – MMPI’s investment clients. Granted, the number of complaints being made was vanishingly small. But unhappy clients don’t necessarily complain. Unhappy clients can simply fail to engage. They can also vote with their feet. They can also cause reputational damage. MMPI couldn’t really be absolutely certain what its clients were thinking and feeling about the service they were receiving. Getting that customer viewpoint might corroborate the award. It might also though point out some home truths. MMPI had a known unknown. 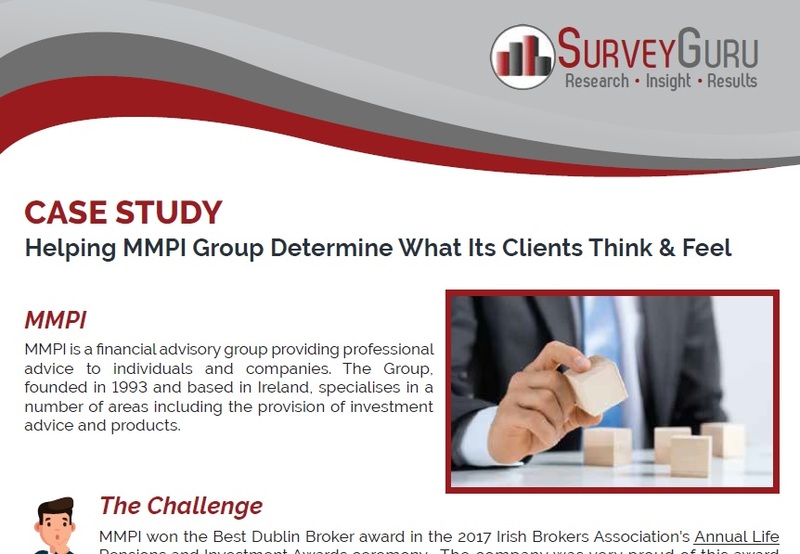 Informal client feedback was positive but…..
MMPI Group asked Brendan Cullen of SurveyGuru to survey those investment clients – to probe their opinions on all elements of the service and the advice they receive. 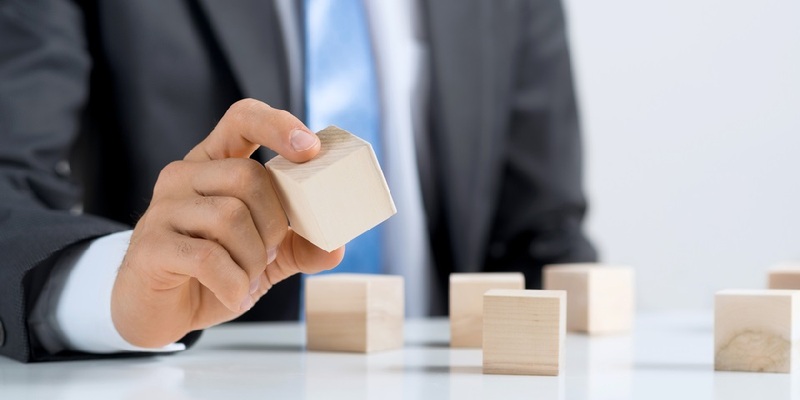 The goal was to get the unvarnished view of how those clients view MMPI. Brendan devised an extensive online survey. It included some profiling questions so that the insights gained would be fine-grained. The survey was deliberately anonymous to encourage frankness but included a facility for people to self-identify if (and only if) they wished to do so. SurveyGuru guided MMPI on the timing and content of invitation emails so as to maximise participation. In addition, no incentive was offered to clients to participate. The analysis of the collected data revealed a very welcome result – all criteria assessed were rated positively. Knowledge that the very low level of complaints is reflective of an engaged and happy client base rather than a disengaged or disillusioned client base. Detailed knowledge of how client perspectives differ in relation to demographic and other profiling characteristics. Firm knowledge of what it needs to continue doing and also what it needs to continue to avoid doing.